If like me you have been patiently waiting for Skyrim VR to be available on the HTC Rift, Oculus Rift and PC via SteamVR you will be pleased to know that today Bethesda has announced the virtual reality edition go The Elder Scrolls V: Skyrim will be available to play using SteamVR from April 3rd 2018 onwards. Skyrim VR contains the complete “critically-acclaimed” core game as well as all its official add-ons Dawnguard, Hearthfire and Dragonborn. Check out the announcement trailer below to learn more about what you can expect from Skyrim VR which launched on the PlayStation VR platform back on November 17th 2017. 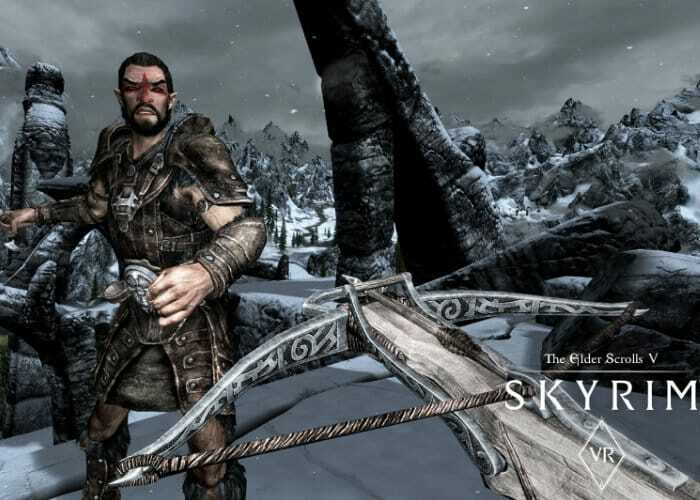 Skyrim VR offers the true full-length open-world game for VR and has been rebuilt by Bethesda Game Studios for virtual reality hardware and motion controllers. Skyrim VR is now available to preorder priced at £40 and will be available to play on the HTC Vive, Oculus Rift and Windows Reality headsets.